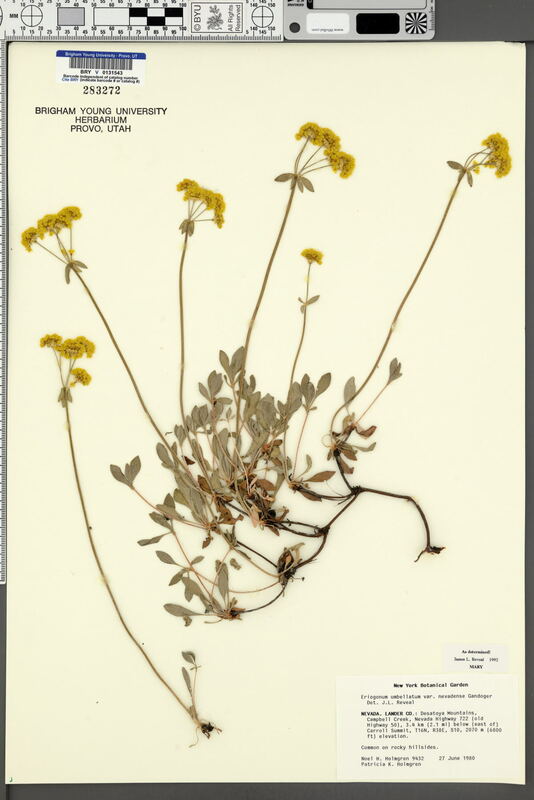 Taxon: Eriogonum umbellatum var. nevadense Gand. Locality: U.S.A., Nevada, Lander, Desatoya Mountains, Campbell Creek, Nevada Highway 722 (old Highway 50), 3.4 km (2.1 mi) below (east of) Carroll Summit. Verbatim Coordinates: 39.26567 N 117.69041 W ± 1127 m /// T16N R38E S10 .